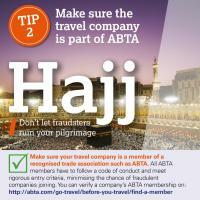 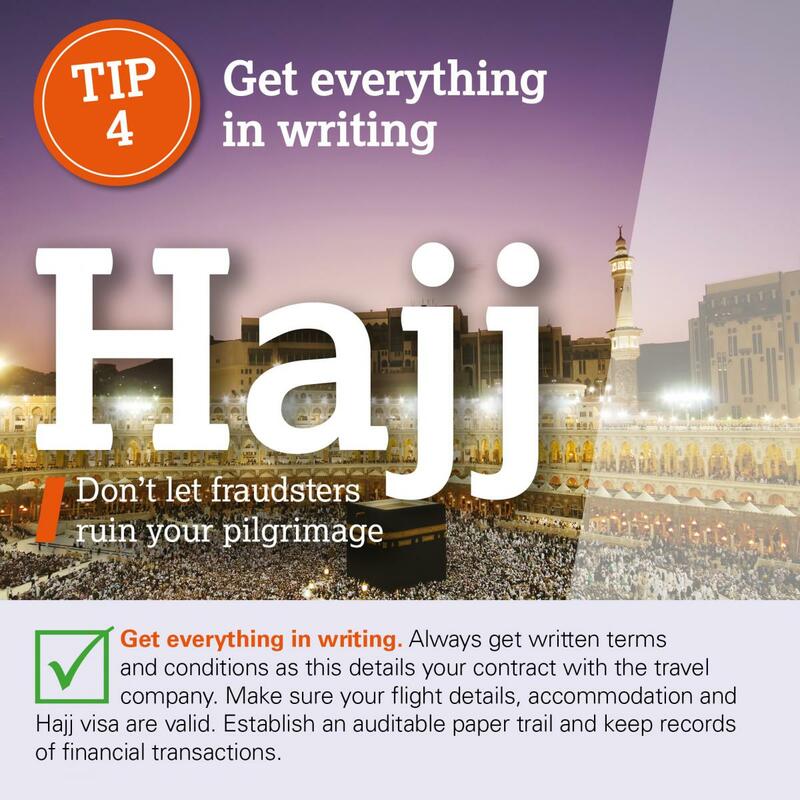 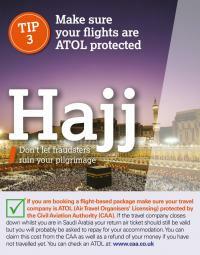 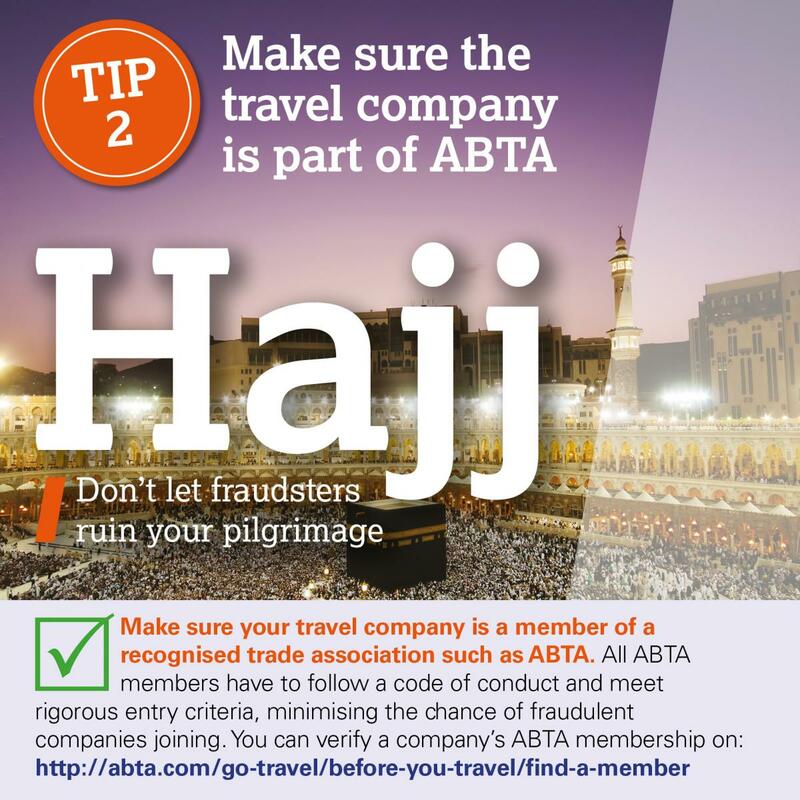 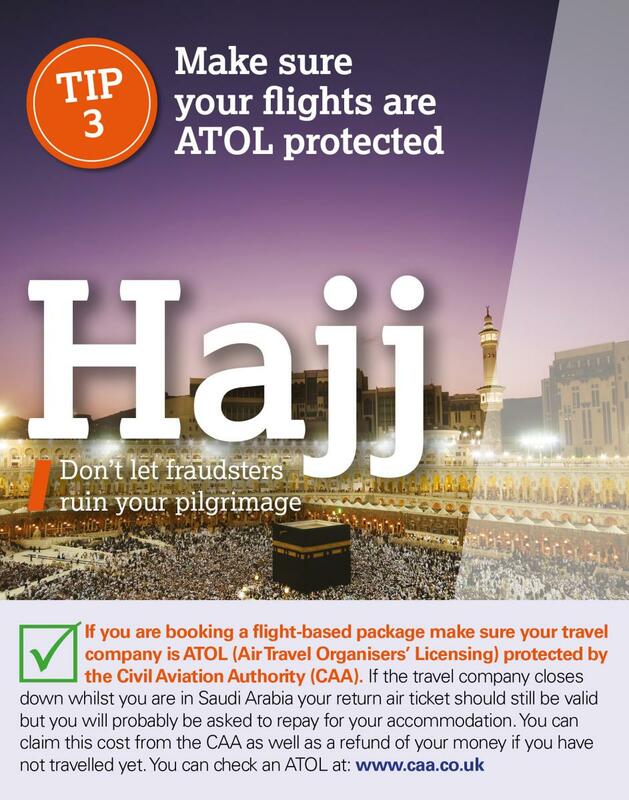 West Yorkshire Police is supporting a national Hajj Campaign run by the City of London Police, which is the UK policing lead for fraud. 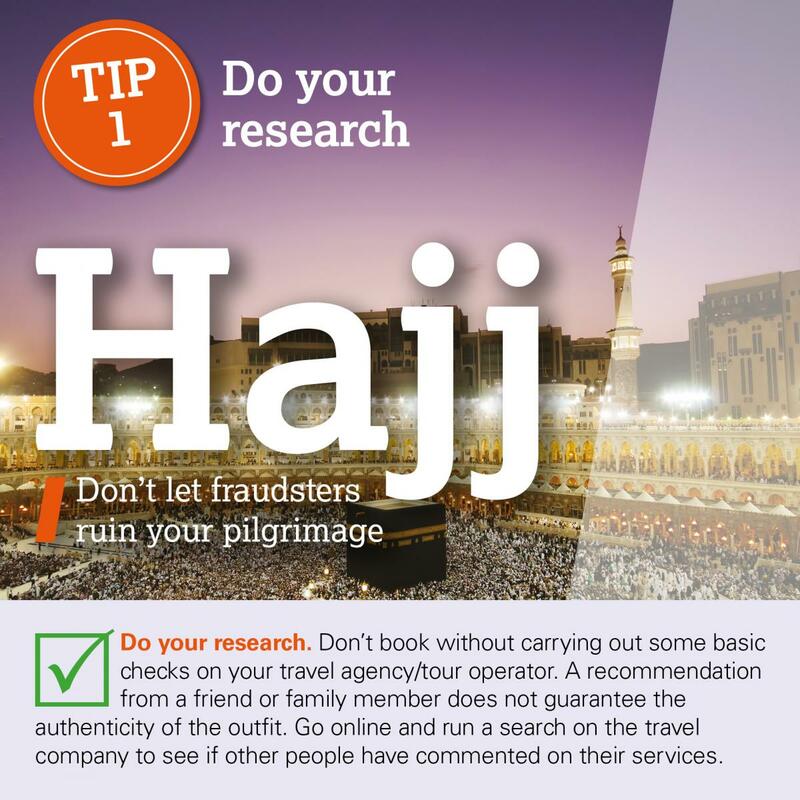 The campaign highlights the risk faced by the 25,000 British Muslims who make the annual pilgrimage to Mecca. 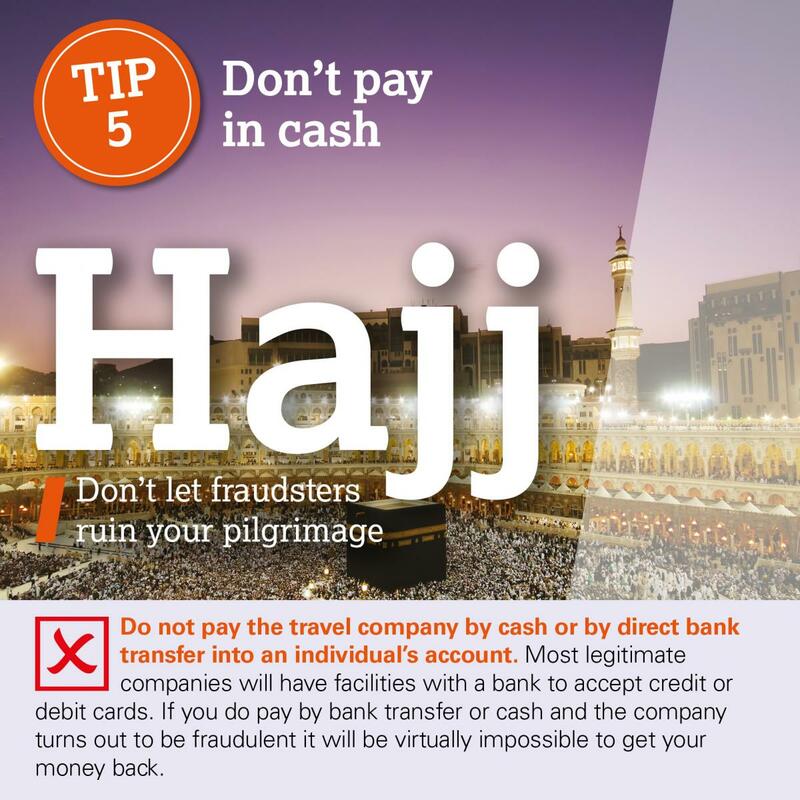 Unfortunately, thousands more will see their dreams shattered by cruel criminal fraudsters offering “cut price” trips and flights which then don’t materialise. 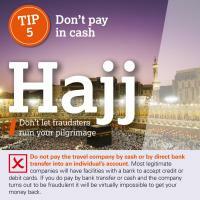 There are more details and a video on the City of London website.